We all have those moments in our lives when someone does something A-M-A-Z-I-N-G and we want to let them know. 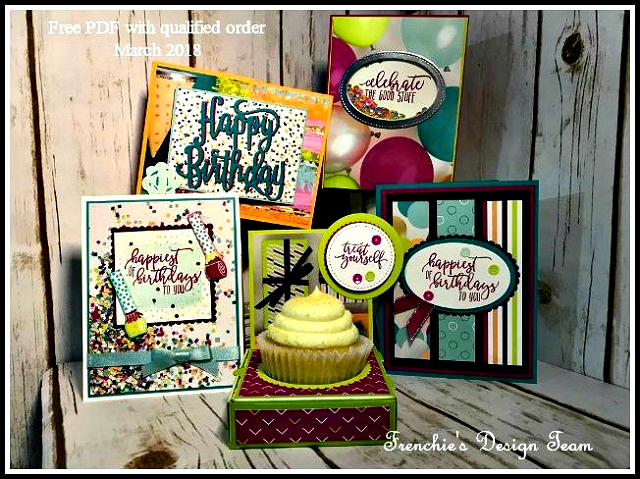 The Amazing You Stamp Set that you can earn right now for FREE with an order of $50 is absolutely perfect for saying just that. Couple it with the Celebrate You Thinlits Dies and create fabulous cards just like you see above. Both of these card fronts created by my teammates are simple but elegant and sure to bring a smile to your special someones face when they receive their Happy Mail. The card above was created by my teammate Sharon and she simply stamped 3 of the adorable flowers and the You are simply from the Amazing You Stamp Set in Night of Navy Ink. She added the word Amazing from the Celebrate You Thinlits Dies in Pumpkin Pie Card Stock for an added splash of color. The card below was created by my teammate Janet and she chose to use the lovely Hearts from the Heart Happiness Stamp Set and used the coordinating Sweet & Sassy Framelits Dies to cut them out. She also used the Celebrate You Thinlits Dies for her creation. I love her color combination of Bermuda Bay, Lemon Lime Twist and Fresh Fig, not to mention the way she canted the layers (yep it is A-M-A-Z-I-N-G in it's own right). Thanks for sharing your beautiful cards ladies I Love them!! !